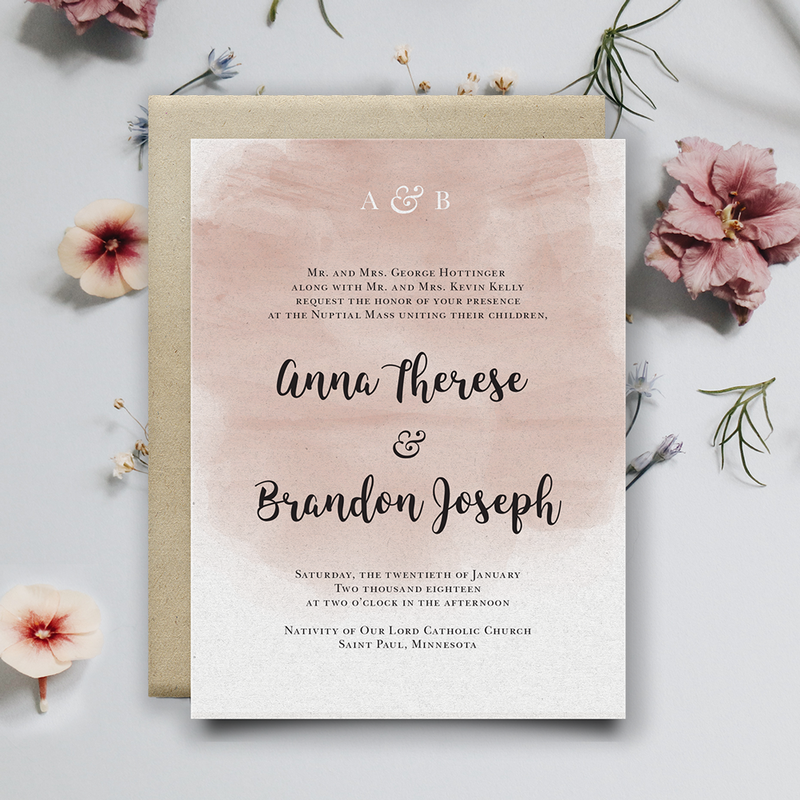 Allison and Michael wanted a save the date that was simple, beautiful, and personal. We created a clean floral illustration, paired with neat typography, to announce their special day. 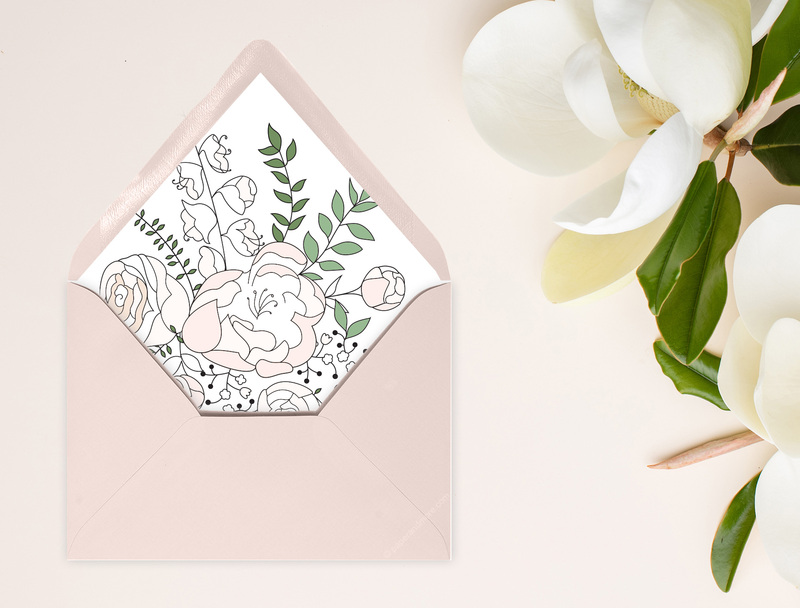 The elegant card communicated the unique personality and feeling that guests could expect on Allison and Michael's wedding day. 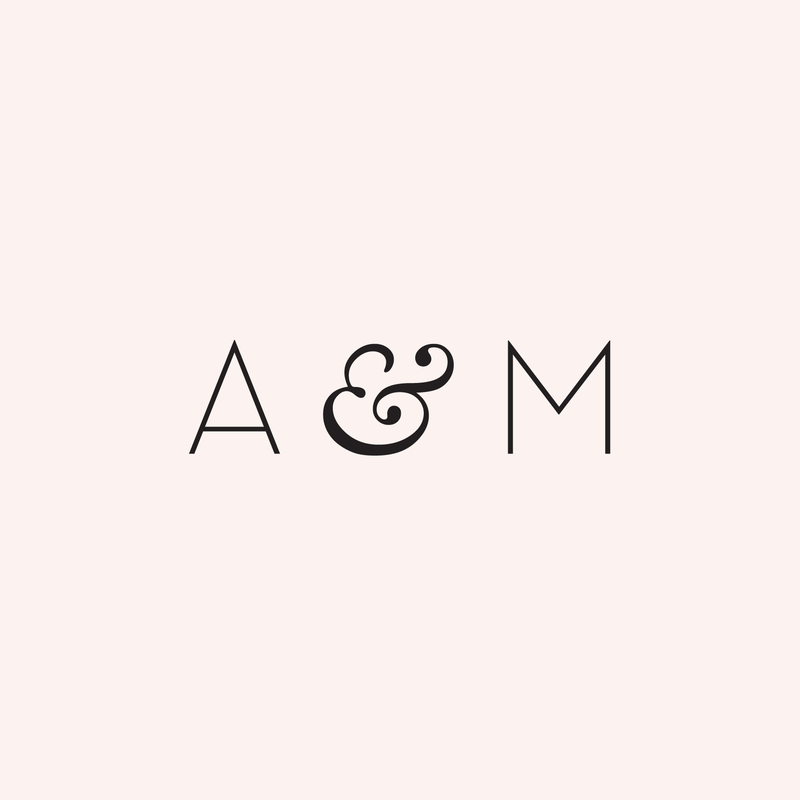 The monogram was a consistent element throughout many paper materials for Allison & Michael's wedding. 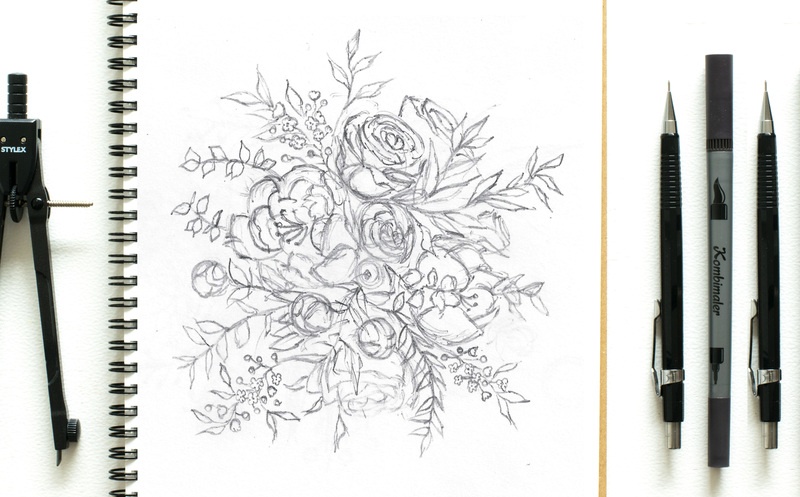 My process always starts with sketching on paper. 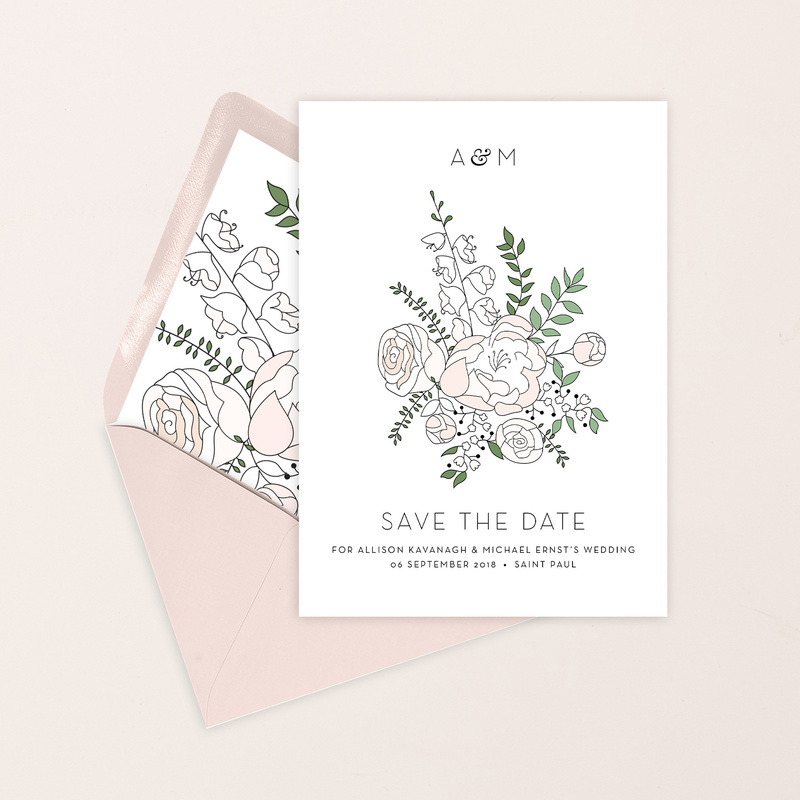 This custom save the date design began with drawing many pages of floral bouquets, which I later traced and refined in Adobe Illustrator.